Solidarity is the key to survival, and your community is the key to solidarity. Building community together is how we replace the unjust systems which oppress us. America has been experiencing a steady decline in living conditions for more of its people each year, wealth disparity has been burned into the system by an economic model that rewards the haves and punished the have nots. Regardless of this reality for so many, American government, media, and education proudly celebrate their nation, constantly reminding its own citizens and the rest of the world world that is the greatest nation on earth. A society which won’t recognize the problems it’s facing will certainly not take any actions to improve the lives of those suffering under it. Telling the world you’re great as the living conditions of the majority of people collapses is a grift that can only be played so long. This decline of life quality is compounded as this same unequal economic system destroys the natural earth which sustains all life, creating an extinction level risk as serious as nuclear war and far more ensured regardless of human behavior going forward. I have an opinion on this because I immigrated to America in 2011, a young intelligent man, benefiting from the rise of information technology and the privilege it supplies the elite of these systems. My exposure to the long term effects of hyper capitalism shook me to my core, evolving my thinking to one which celebrates community over capital, and my goals to the preservation of the majority over myself. I’m not here to predict where the lives of Americans are headed, what I’m here to do is tell you what I’m planning to do with my life. How I use my technical skills in combination with my team building experience to understand and implement the principles of permaculture to build a community. As with all communities we will have adapt to the new realities of our world, and struggle to counter m the destructive characteristics of our species which ensured its extinction. The future isn’t something for us to know, to make predictions of what it holds for us is a game I’m trying to avoid playing, as fun as it can be. However the past and present is something we can measure, and those measurements can give us guidance for what could possibly happen in the future. The empire celebrates the measurements of football scores, stock prices, and unemployment rates. The narrative we hear is that we’re in a global financial recovery, that there are less unemployed Americans than ever, things are going well for everyone and if they’re not for you, then you must be doing something wrong. In reality that is nowhere near the truth, those narratives do not accurately reflect life in America, those measurements were chosen by the few who benefit from the continuation of the status quo, and the resulting work those living under it produce. 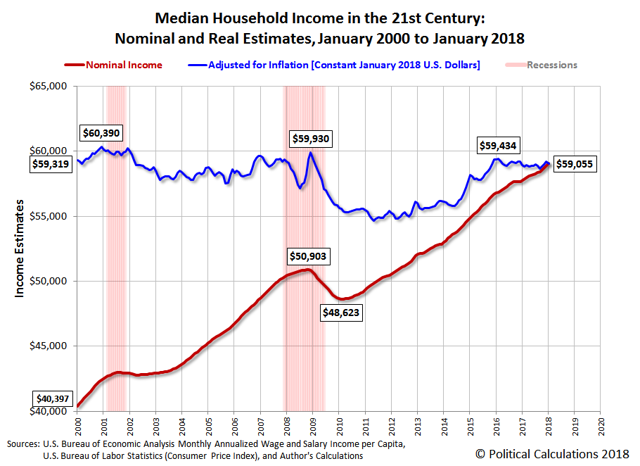 A measurement you won’t hear from Empire’s sources is that since 2008 the real wage of Americans, that is their wage relative to the items they buy, has not changed. Those who’s unemployment insurance and savings have run out have finally been forced to go back into the workforce. Yes sure they’re employed, but where they were once a manager at a local firm they’re now an Uber driver, where they once had full time employment and health insurance, they have casual work and pay more for car insurance. A society which won’t recognize the problems it’s facing will certainly not take any actions to improve the lives of those suffering under it. I’m not here to predict where the lives of Americans are headed, what I’m here to do is tell you what I’m planning to do with my life, as an Australian who lived in America from 2011 until 2018. This lack of recovery is an inherent part of the economic system Americans, Australians, and most of the world live under. This system is designed such that any excess value created is distributed to those who own shares of corporations. In America 10% of the population own 78% of those shares, these people receive more and more wealth every year. This wealth is generated through selling goods and services for more than they cost to produce, and it’s the other 90% of the population doing the producing. This system is known as capitalism, and since its formation over 200 years ago it has on average suffered from a crash every 4-7 years. This economic system pits members of its society against each other, but not in a way of the haves verse the have nots, but in the haves vs the haves, and the have nots vs the have nots. Those who own the corporations fight each other to reduce their costs, and those who work for the corporations fight each other for those very salaries which cost the corporations. As we prepare to live in a future where 90% of the population increasingly have less, is this the model we want to base our lives in? Solidarity is the concept of uniting with your fellow people to achieve a common goal which benefits everyone in the society. This concept runs counter to an individualistic society where everyone is working to keep themselves alive at the expense of others, and this concept is vital for a society with increasingly less and less to survive. Through solidarity we build community, and through community we have a support network which takes care of everyone, including those who cannot work such as children and the elderly. 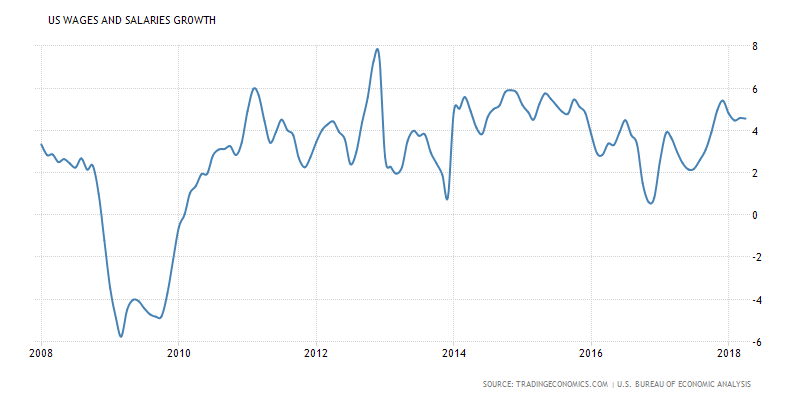 It’s important to note another very significant reality of our lives, that not only is our economy not recovering, the environment which the economy depends on is declining. Climate change continues to be a barely debated issue in the empire, although 98% of scientists recognize it exists and recognize we are underestimating its impact, the business owners spend their wealth sowing doubt in society to ensure their profits aren’t hurt, while the world around them changes so rapidly that their profits are ultimately hurt as the world fails to produce enough to keep the system going. This globalized capitalist economy relies on vast amounts of energy to power distribution chains that allow them to exploit the poorest of the world in their drive to keep costs low and profits high. The food we eat every day is delivered to us through vast networks powered by the fossil fuels which produce the atmosphere polluting carbons which trap heat and alter climate systems. This increasing in heat causes our seasons to shift, increasing the length of our summers and decreasing the length of our winters. The impact of this is so widespread that it can’t be covered in any single discussion, but there are some big ticket items, we know that our ice caps are melting at an increasing rate, this raises sea levels and sea temperatures. Rising sea levels reduces the amount of land which humans can use to produce food, rising sea temperatures kill off the lowest levels of sea food chains, resulting in ever decreasing life in the ocean. Every year warmer oceans trap less carbon dioxide than the year before, this results in further increases of temperature, these increased temperatures start to affect more ecosystems, breeding cycles of animals become increasingly disrupted, large animals fail to reproduce in this hotter climate, as micro animals which carry diseases thrive in the longer more humid summers. This feedback loop of climate change cannot be reversed, and while the wealthy elite will promise salvation through technology, this is only in a bid to gain more wealth through large scale for-profit projects funded by the communities who have less wealth every year. The hope sold to us of a solution to our changing climate is a lie which distracts us from the reality that we will have to live with less in a world which is hostile to our very survival. I haven’t painted a positive picture of the probable direction of our future, I’ve stated that not only will the majority of us become increasingly poorer, that this will happen in a world which will become increasingly more difficult and hostile to our very survival. This is the reality I believe we’re headed towards and with that background I can now give you an outline of how I am planning to live through the next 20 to 30 years I expect to be alive. My first goal over the next 5 years is locate and join existing communities in regions of Western Australia which are least likely to be negatively impacted by climate change. The most probable locations for these communities is in the deep south, or in the more northern central bands. Modeling of probable climate shifts show that these areas will become increasingly wetter, while the other parts of the country become more dry. Water is of course vital to not only the production of crops, but to the very survival of human being, without water we don’t last more than a few days. This means that I will be leaving city life, or at least, setting up a second life outside of Perth and New York where my employer’s offices are located. It’s important to note my privilege here, my job is remote, I work from a laptop over the internet, which means that I can continue to generate a size-able income which I can use to invest in the community I am a part of, this investment can be used to produce local systems which generate the food our community needs to survive. I haven’t decided to reject the realities of the economic system we live within, to reject reality is to suffer under the hand of it with no recourse for surviving outside of it. Nothing lasts forever though, and I have no plans to continue to be employed in this economic system for longer than 5 to 10 years, if it’s possible then great, if not then I don’t want to be destroyed by my inability to live outside of it. Through investing now in the community I plan to spend the rest of my life in, I am setting our community up for better chances of continuation as things get increasingly more difficult. I work in technology, my drive as a child to learn and master computer systems has been the driving force behind the success I have found in our current economy. I learnt to build and maintain computer systems just as they became the most important systems in our society, and this strategy is one I will continue to follow in the future. My interest going froward is not in computer systems, but is in ecosystems and community systems. The permaculture movement founded in Australia over 30 years ago is one which recognizes that sustainable dependence on nature to produce food, requires a system which does not ignore the reality of nature and the beings which depend on it. 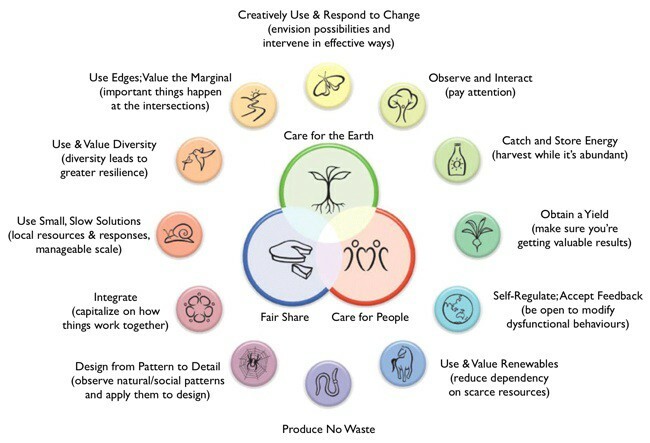 There are 12 key principles to permaculture, these principles create a life cycle for systems analysis and design which complement nature, instead of exploiting it. I don’t have the experience necessary to properly explain the permaculture principles, which is why I am investing my efforts in the future to understand and live this life, to involve myself in communities that already appreciate the power of a life within the nature, and are rejecting a lifestyle which profits from the destruction of nature. That’s enough about me for now, the real question here is what are you doing to prepare for a future of less, less wages for you and a less stable environment for everyone? There is no single answer that will work for all, as I mentioned I am incredibly privileged to be in a career which is highly valued by our society, this privilege gives me the resources I need to invest in my future, and the frame of mind to be able to research solutions to the problems I see coming. I can give you some direction though, you must shift your lifestyle to one that is embedded in community, to one which values your efforts contributing to making the lives of those around you better and that this investment will result in a support system during the harder times that come. Our declining society celebrates independent success and this concept has been driven deep into each of us, resulting in fear and distrust of our fellow people because it threatens our access to the crumbs left by those who own everything. You must reject this notion, you must step out of your home and into your society and you don’t need to start your own community to find this solidarity. There are already so many groups that are fighting the injustices of our world, that are working to create a better life for those that our society already rejects. During my short time in Fort Collins Colorado I was able to connect with some of these groups. My first step into this world came through joining the Fort Collins Democratic Socialists of America who volunteered their time to understanding the local issues of the community and rallying their efforts to support solutions to these issues. This lead me to the Fort Collins Mennonite Fellowship who support the local community through regularly feeding and sheltering members of society in need. It cost me nothing but my time to join these two communities, and even though I was only able to physically be a part of them for a short period, I was able to tangibly contribute to efforts which improved the lives of others, and I was quickly accepted into a community which would have also been able to support me through any hardships I suffered in the future. The key to living under a declining empire is to reject its principles of dependence on an economic system of exploitation and a community of isolation and distrust. If you want to protect yourself and your loved ones from the collapse of an unethical and unsustainable way of life, find those in your society who are already doing the same, and give them your time and your support, so that they can do the same for you. Solidarity is the key to survival, and your community is the key to solidarity.